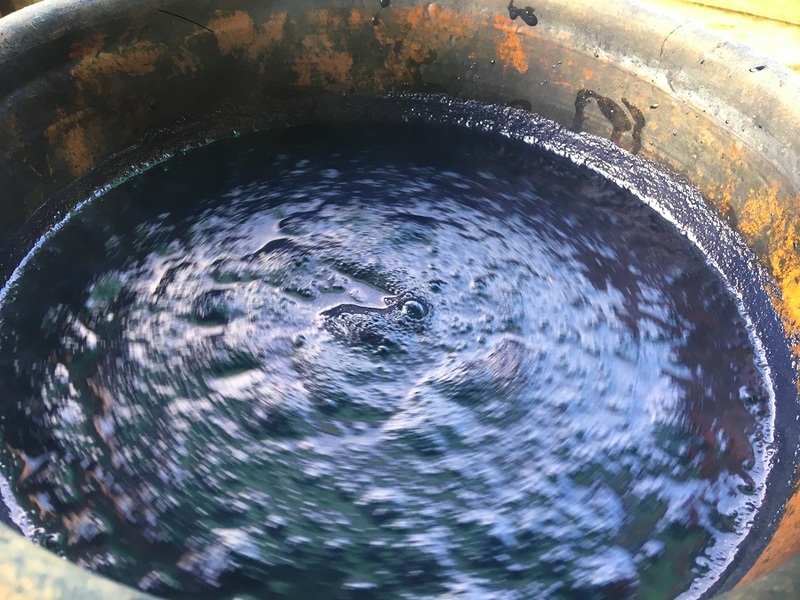 Come and enjoy a completely blue weekend…Indigo is one of my favourite dyes, as it has such an interesting history all over the world, the plants that are used and the recipes to create the dye vat and methods all vary. Indigo is the umbrella term for plants which give a blue and those plants exist in Europe, South American, India, Japan to name but a few. 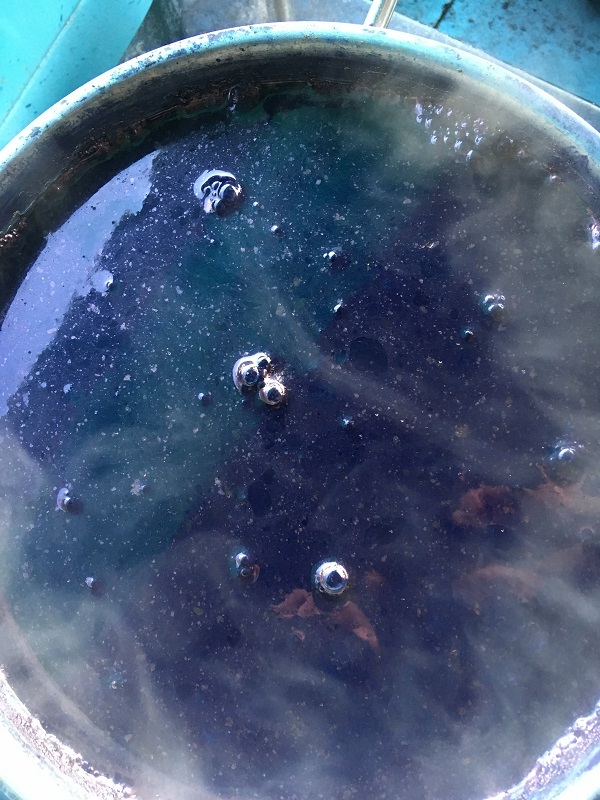 The process of dyeing with Indigo is so different from other dye plants the alchemy of the process is always a delight! 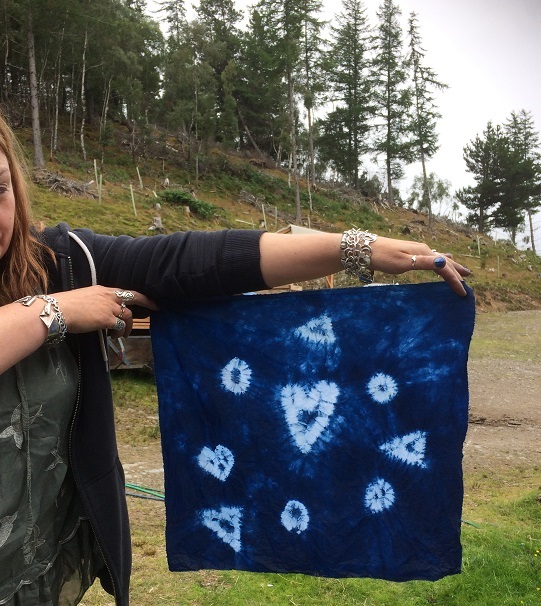 Over the weekend we will make up an Indigo dye vat and then spend the rest of the weekend using it to dye stunning patterns and designs. 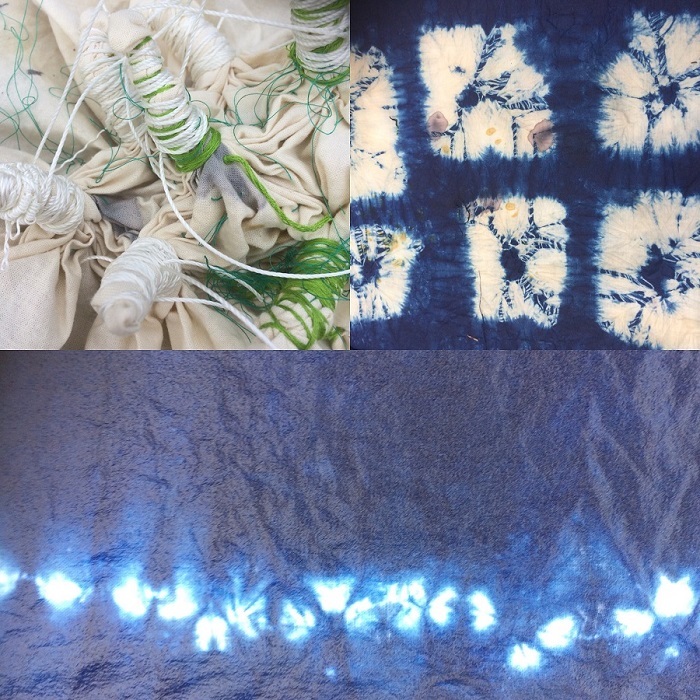 Firstly we will have a look at Shibori, which originates in Japan, a craft which uses stitching and folding to create a resist, leaving stunning patterns in blue. I find stitching patterns very relaxing and the whole process is full of intrigue waiting to unfold or un-stitch the resulting pattern. Secondly we will have a look at batik which originates in Java in Indonesia. Like the Javanese we will use melted wax to create a resist, either painting the wax onto the fabric using a brush or by using an Indonesian tjanting. A tjanting is a traditional tool which drips the hot wax onto the fabric and can be used to make fine lines. We will be mostly working with cotton, and you will have the chance to print on cotton bags and larger pieces of fabric -make swatches for quilting and larger pieces you could turn into a cushion or clothing at a later date. If you have pieces of cotton, linen or silk clothing you would like to update and print on, you are welcome to bring them along!